Last weekend, the 11th and 12th of August, the fifth annual international blues festival “Blues pentru Timisoara” took place at Union Square. 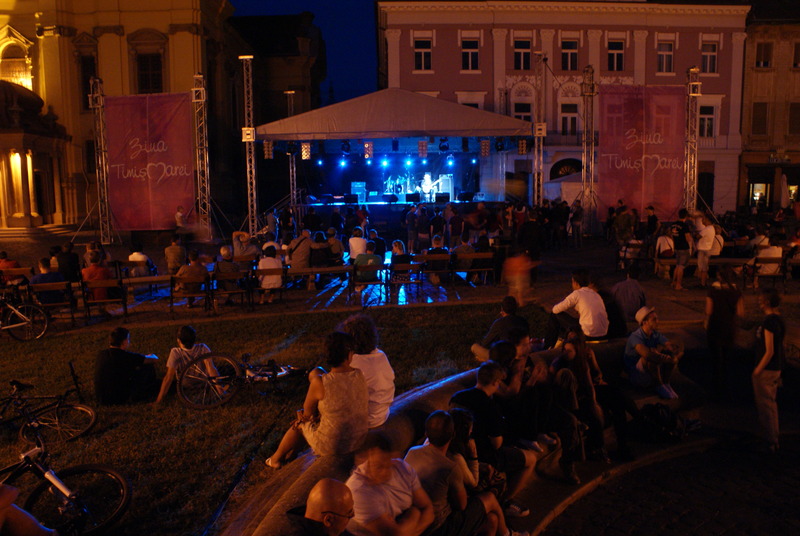 For two evenings the city of Timisoara turned to a small European capital of blues hosting some of the most popular bands from Romania, Hungary and Serbia. Spectators of different ages, professions and nationalities gathered at the Square to enjoy the blues music played by Bega Blues Band, Texas Flood, Vali “SirBlues” Racila, Mircea Bunea Trio, Foxy Lady Trio & Alex Man and the Wildflowers Band. The blues music festival provided us with not only great music but also a change of atmosphere. The whole square was influenced by the jazzy tunes coming from the grand stage. It gave us a chance to experience a different Union Square than we had before. 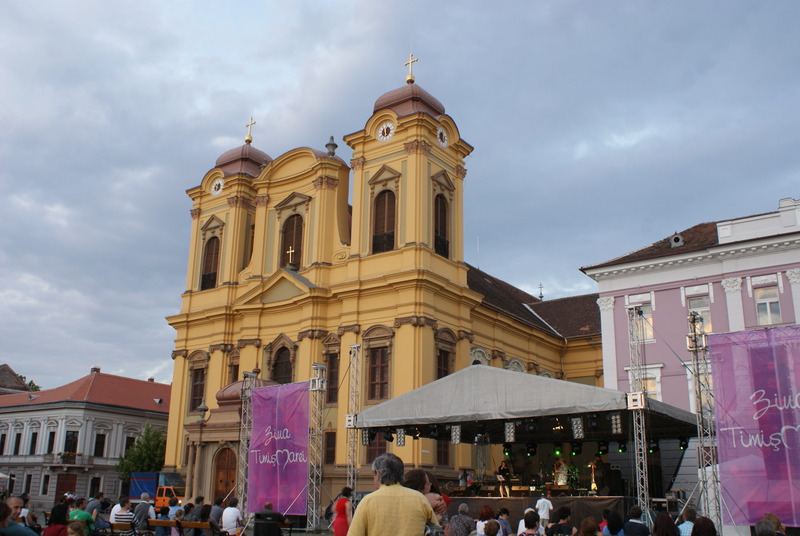 As Dona, a dental student in Timisoara puts it: “I am attending this festival for the first time. I just wanted to listen to a good music and discover a new music style. Next year I will attend this event for sure because it is worth it!”. “I came to Timisoara as a tourist and was pleased to find out that such an event takes place during my stay here. I enjoy both the music and the general atmosphere of the festival”, – Jeff, an investment banking specialist from Taiwan, shares his impressions, and we couldn’t have agreed more. “As blues is my favorite music style I try to attend this festival every year. It is nice to enjoy a good music, especially if it is played by such blues music stars as Vali “SirBlues” Racila”, – Doru, a telecommunications specialist from Timisoara, puts in as a true blues music fan. It doesn’t matter whether you are a blues fan or not, you will love “Blues pentru Timisoara” for sure! All you should do is just to wait till the next summer and experience this pleasant atmosphere either for the first time or once again! See you all next year at Union Square! If you can’t wait that long to get a feel of the atmosphere, then check out our tumblr account: www.timisoara2021.tumblr.com for more pictures!